Born: 5 July 1856, Plymouth, England. Died: 18 October 1922, Cape Town, South Africa. 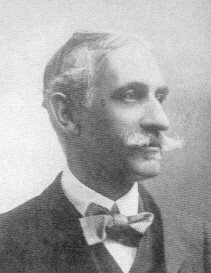 Arthur H. Reid, architect and engineer, was the eldest son of the architect William H. Reid and his wife Ellen M. Reid. William, Arthur, and three of his brothers all practised architecture in South Africa. Arthur completed a three year apprenticeship with his father. Subsequently he attended science courses at King's College, London, and worked briefly for a building contractor and a civil engineer. Towards the end of 1877 he came to the Cape Colony and joined the municipal service of Cape Town as a draughtsman and building surveyor in the Department of Public Works. The next year he was promoted to assistant city engineer of Cape Town. From 1879 to 1882 he held the newly created position of city engineer in Grahamstown and spent much time organising the repair of roads, bridges and reservoirs damaged by the flood of 1878. He also supervised the erection of the steeple of St Michael's Cathedral in the town. In 1881 Reid became an associate of the Royal Institute of British Architects. The next year he moved to Port Elizabeth and set up in private practice as an engineer and architect. In 1883 he advertised as an hydraulic and sanitary engineer in Port Elizabeth, while maintaining agencies in Grahamstown and Cape Town. He married Victoria Walsh on 15 June 1884 and eventually they had two sons and a daughter. He became a member of the Eastern Province Naturalists' Society in March 1887 and proposed that this society amalgamate with the Port Elizabeth Art Society and move into a new building, for which he had alreardy drawn up plans; however, owing to a lack of building funds nothing came of this proposal. Later in 1887 Reid moved to Johannesburg, where he practised as one of the first architects on the Witwatersrand. His brother Walter joined him as a partner in 1896. On 25 April 1892 he chaired the first general meeting to discuss the formation of the South African Association of Engineers and Architects. He served as vice-president of the association during its first year, as its second president during 1893/4, and as a member of council thereafter. He contributed three papers to its Proceedings, on "Johannesburg Hospital" (May 1893, Vol. 1, pp. 26-34), "Disposal of tailings" (August 1893, Vol. 1, pp. 56-58), and "Dangerous structures" (October 1893, Vol. 1, pp. 61-64). By 1892 he was perhaps the leading architect on the Witwatersrand and had been elected a Fellow of the Royal Institute of British Architects (FRIBA). In 1897 Reid moved to Cape Town to take charge of the firm's office there. Among others he designed Christ Church in Kenilworth, Cape Town, and the war memorial outside St Saviour's in Claremont, but his practice was never very large. At some time he served as president of the Cape Institute of Architects. He was particularly interested in public health matters and was a Fellow of the Royal Sanitary Institute, serving as chairman of the South African Branch in 1911. With Dr A.J. Anderson*, medical officer of health in Cape Town, he was instrumental in getting a Board of Examiners appointed for the instruction and examination in South Africa of candidates for the Institute's Sanitary Inspection and Sanitary Science diplomas. In 1902 he became a foundation member of the South African Association for the Advancement of Science, serving on its council for many years and as vice-president in 1919. The papers he read before the association, which were published in its annual Report dealt with "Smoke abatement in mining and manufacturing centres" (1906, pp. 349-353), "Hygiene as applied to school life" (1910, pp. 77-85), "School buildings and sites" (1910, pp. 189-201), and "Fire-resisting materials in building construction" (1915, pp. 83-94). Reid was a leading Freemason, a life member of the (British) Society of Arts, member of the British Association for the Advancement of Science (from 1904) and of the North of England Institute of Mining and Mechanical Engineers, and served on the city councils of both Johannesburg and Cape Town. One of his later interests was in angling, on which he wrote a book, Trout and angling in South Africa (Johannesburg, 1921). Around this time he became a member of the South African Biological Society. Another of his interests appears to have been birds, for in 1905 a Mr A.H. Reid - presumably him - presented a collection of 120 British birds to the Zoology Department of the South African College, Cape Town. British Association for the Advancement of Science. Report of the seventy-fifth meeting... South Africa, 1905, list of members. Dictionary of South African biography, Volume 5, 1987. Draper, J.R. The engineer's contribution. A history of the South African Institution of Mechanical Engineers, 1892-1967. Johannesburg: SAIME, 1967. Eastern Province Naturalists' Society. Minute Book No. 2 (Annual meeting January 1888, and list of members). Grahamstown Journal, 20 January 1883, p. 1, advertisement by Reid. Men of the times: Pioneers of the Transvaal and glimpses of South Africa. Johannesburg: Transvaal Publishing Co., 1905. Ritchie, W. The history of the South African College, 1829-1918. Cape Town: T. Maskew Miller, 1918. South African Association for the Advancement of Science. Report, 1903, 1904, 1905/6, 1910, 1913, 1915, 1918. South African Association of Engineers and Architects. Proceedings, 1892-1894, Vol. 1; 1897-1898, Vol. 4. South African bibliography to the year 1925. London: Mansell, 1979. South African Journal of Natural History, 1920, Vol. 2(2), list of members [of the SA Biological Society]. South African who's who, 1908, 1919/20.